Harley & Hershey is a felt tip pen drawing of two chihuahuas. 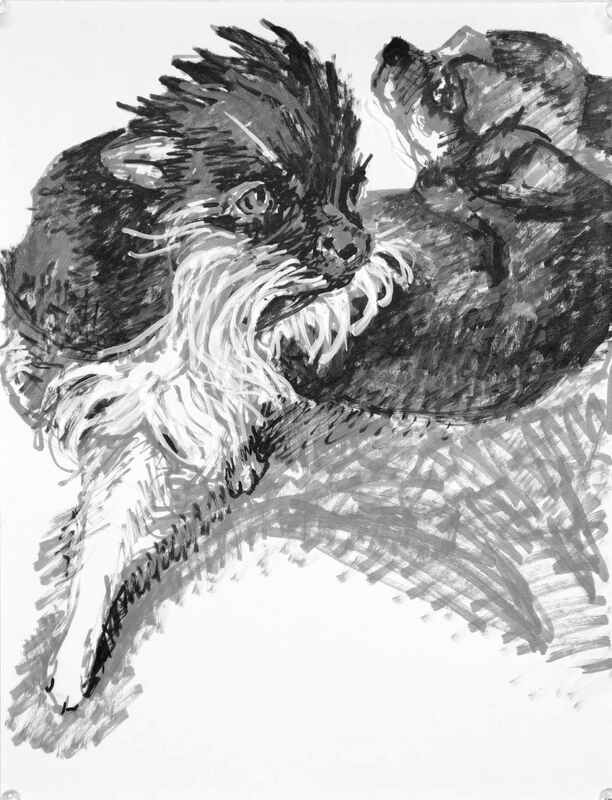 A scruffy tuxedo, bearded, chihuahua steps forward as a short haired recumbent dog looks over his shoulder from behind. Artist Elizabeth Lisa Petrulis.